Hi Stamping Friends! Here is a new monthly post I will be sharing. A Planner Layout. I have always admired the beautiful planner designs out there! Have you seen them? some are over the top impressive. 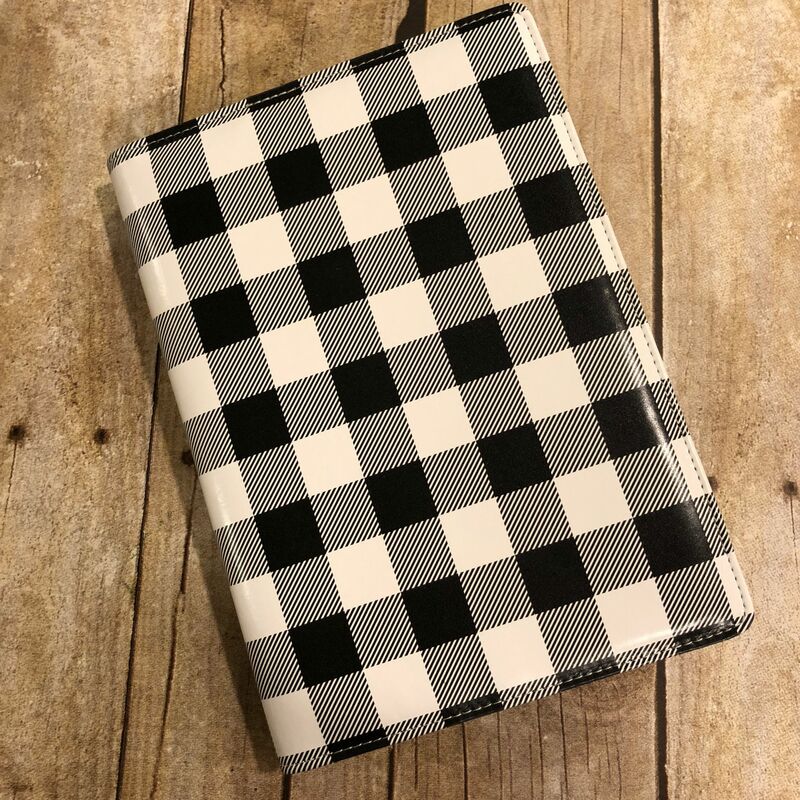 Fun Stampers Journey gave me this beautiful black and white “Good Life” planner at Convention. It was one of the goodies in our Convention bag! Black and white never goes out of style! I will be decorating the outside in a future post– keep an eye out for that if you love planners! Here is my 1st planner spread for August. Why not just start with the month we are in. I kept this clean and simple for the first layout I want to be able to use it. Less is More! Did you know that Fun Stampers Journey has a whole line of Planners? Plus cute planner stamps, accessories, dies, stickers, wash tape, pages for the inside and more. You can check out a link to the planner section online HERE. Or you can check it out in the annual catalog on pages 229-245. 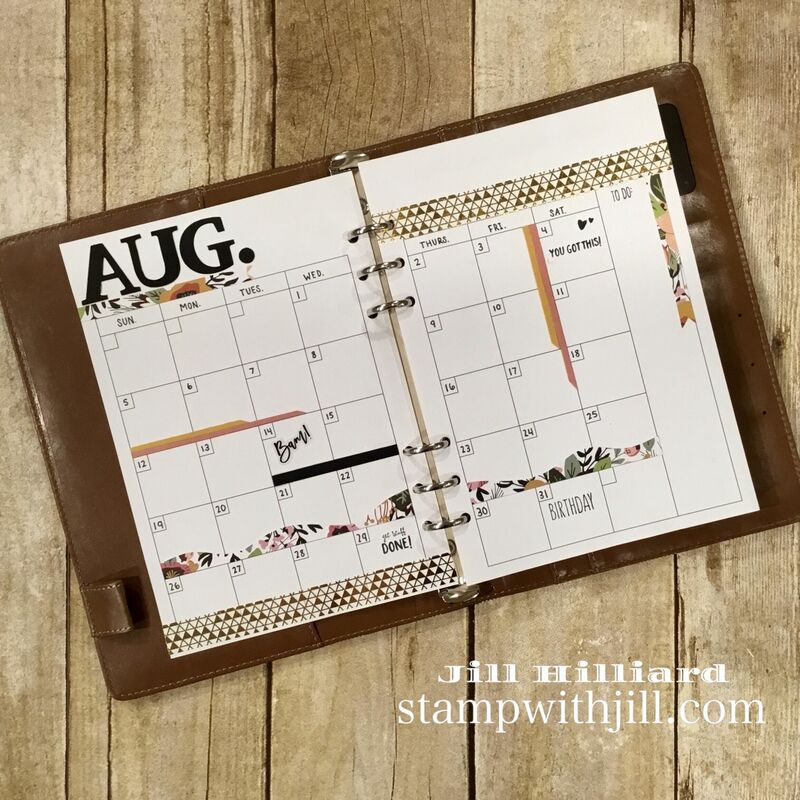 So much of your current stamping stash can be used in creating fun and functional planner pages!